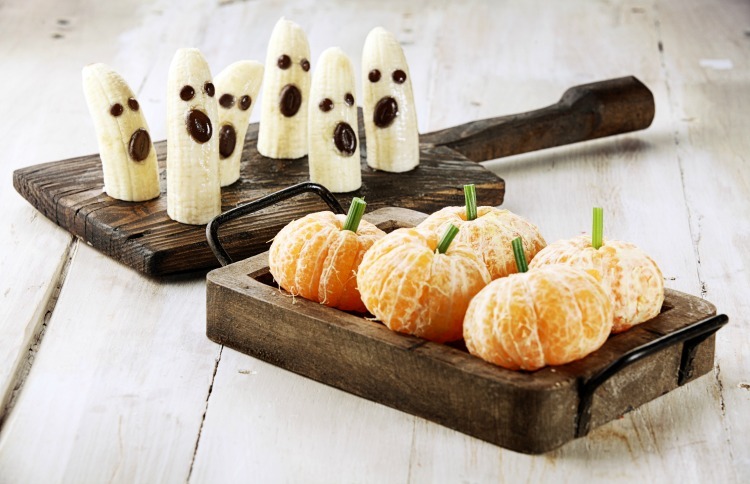 Easy Halloween Treats for School: Healthy Snacks Kids Can't Wait to Eat! Trying to find a way to make easy Halloween treats for school? It can be a challenge to find healthy Halloween snacks. 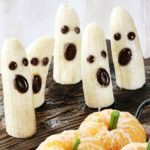 These Halloween fruit ideas of banana ghosts and clementine oranges are the perfect things to serve at your kid’s Halloween party at school! When you’re trying to get your kids to eat healthily, the holidays can definitely be a challenging time. From now through the end of the year there’s going to be candy and sweets galore. Which is great…in moderation. But it doesn’t have to be. There are so many ways to make things a little healthier yet still festive and fun at the same time! Even Halloween treats for school! What’s one of the biggest deterrents in kids eating fruit? Peeling and slicing it! These two Halloween fruit snacks take care of both of those and make an easy to eat snack for kids! I’m going to show you how easy it is to make these clementine pumpkins…with just a peeled clementine and celery! One clementine is a serving. So you’re just going to peel one clementine for each kid at your school party and insert a small slice of celery into the top. Easy peasy fruit pumpkin snacks! If you want to make things even faster and easier? Grab a bag of clementines and draw jack-o-lantern faces on each of them with a Sharpie! This is also a great snack for school during October too! 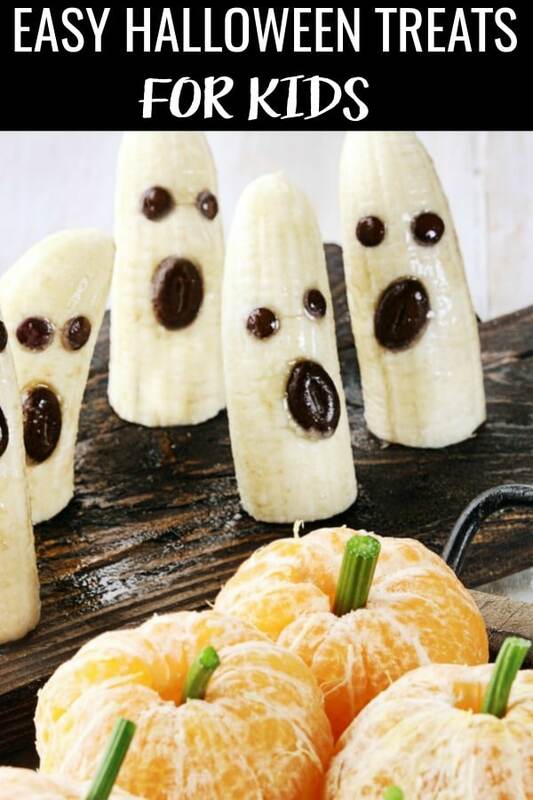 These spooky boonana ghosts combine fruit with a chocolate which is always a good combo! Whether you’re making these Halloween treats for school, as a snack, or for a Halloween party, these are sure to be a hit. And allergy-friendly too. 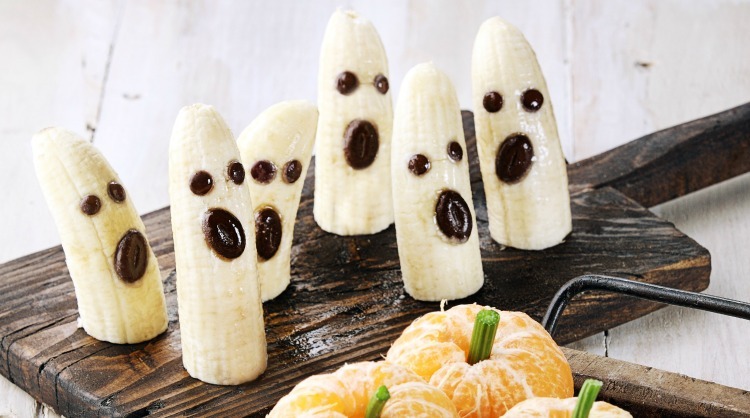 Putting these banana ghosts together is super easy! And there are a few different ways to make these. I’m all about easy dessert recipes, so these Halloween snacks are super basic. And to make these fun for teachers and parents too, you can also swap the chocolate chip mouth for a coffee bean! But if you want to add a little more to this recipe and make it slightly less healthy but even more kid-friendly, you could also slide a popsicle stick in the end and dip them in white chocolate! Slice banana in half, place flat side down on plate. Add mini chocolate chips for eyes and regular sized chocolate chip for mouth. 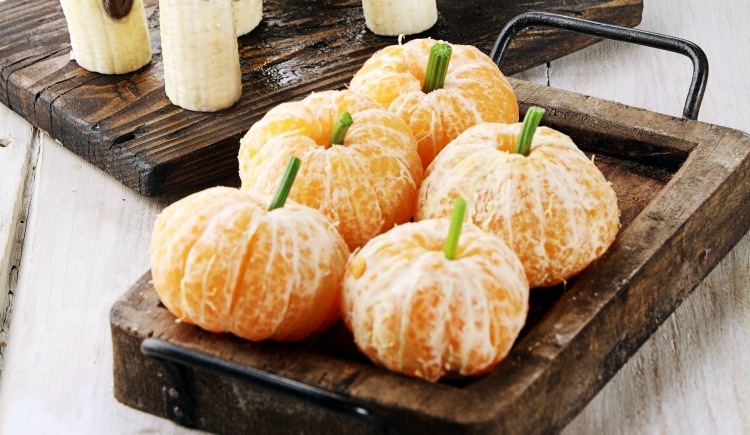 What’s your go-to Halloween snack for school parties? If you’re looking for more Halloween dessert ideas that maybe aren’t so easy, check these out! 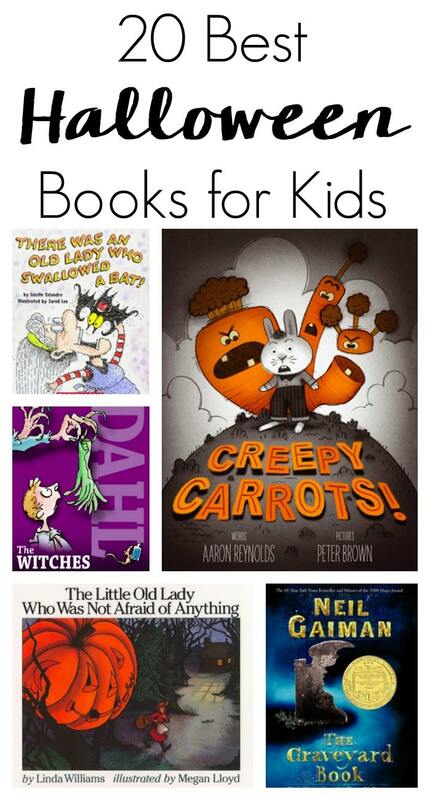 Get your kids in the mood for Halloween with these Halloween books for kids!